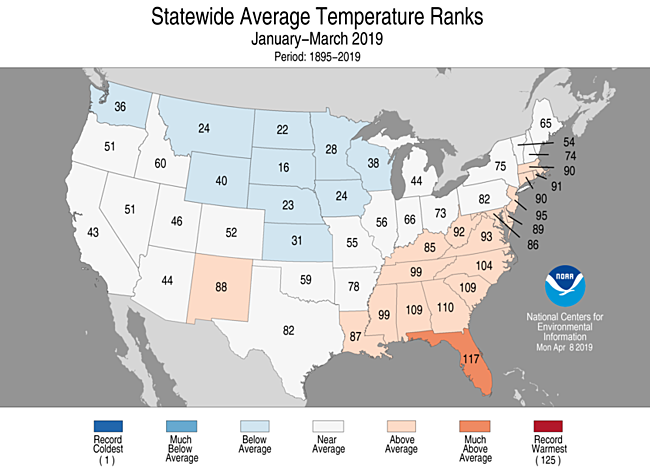 Below-average precipitation was observed across the South and parts of the Southeast. 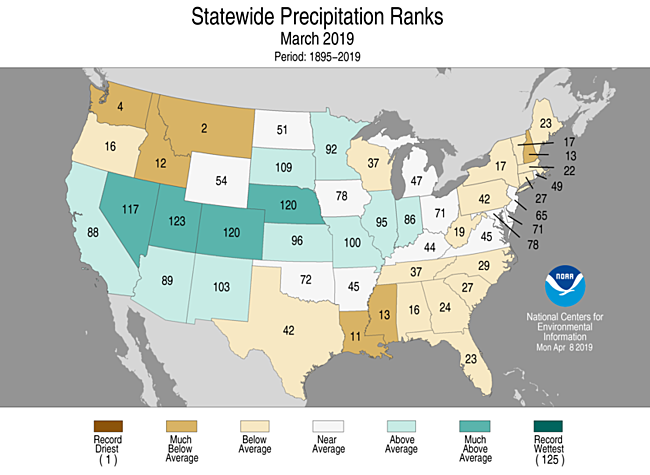 Washington ranked 10th driest for the year-to-date period. 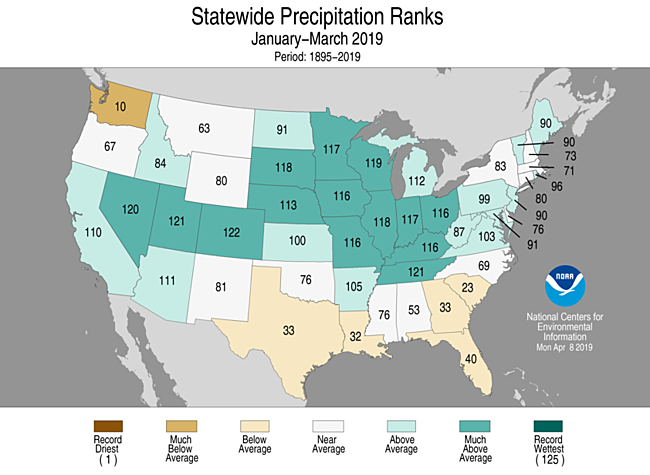 Above-average precipitation stretched from coast-to-coast with many states having one of their 10 wettest January–March periods on record; Colorado was fourth wettest, Tennessee and Utah were fifth wettest and Nevada sixth wettest. 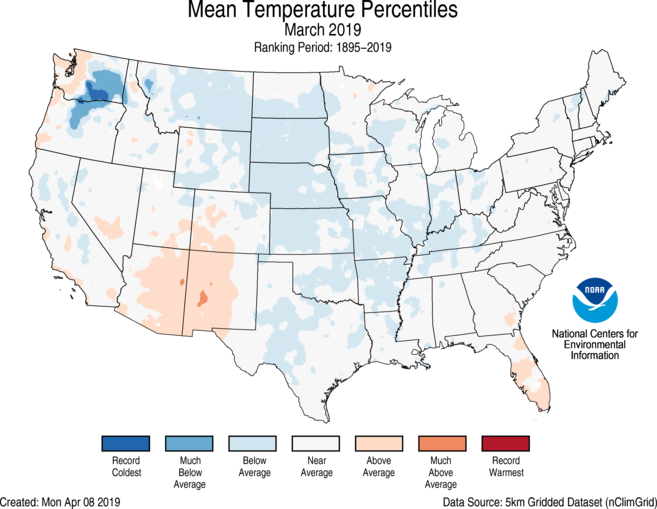 Updated with Climate at a Glance links to several data tables. The globally averaged temperature over land and ocean surfaces for March 2017 was the second highest for the month.